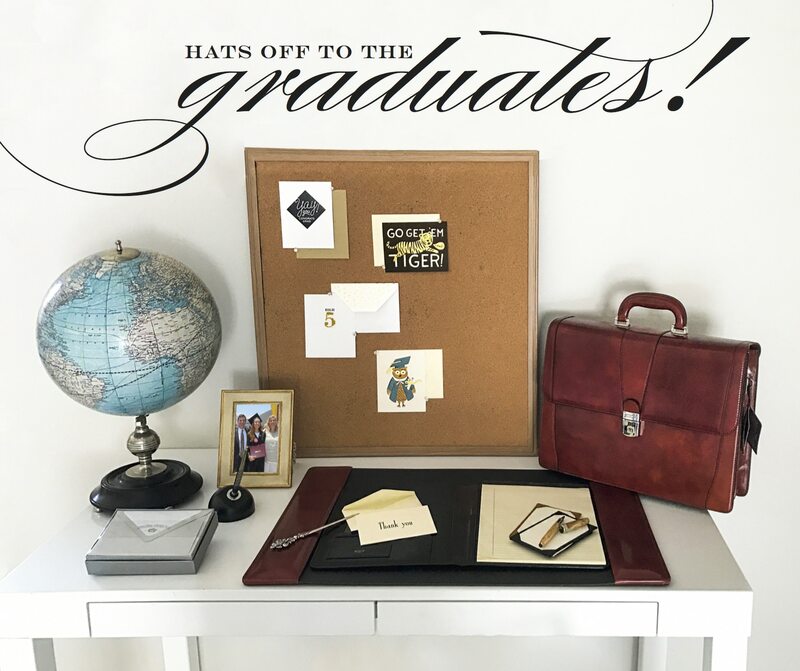 A graduate in any field is sure to appreciate a gift certificate to create their own custom stationery at Scriptura. This gift is an opportunity to give something meaningful and truly personal, while ensuring it will speak to the tastes of the recipient. A gift for the graduate that makes an impression. 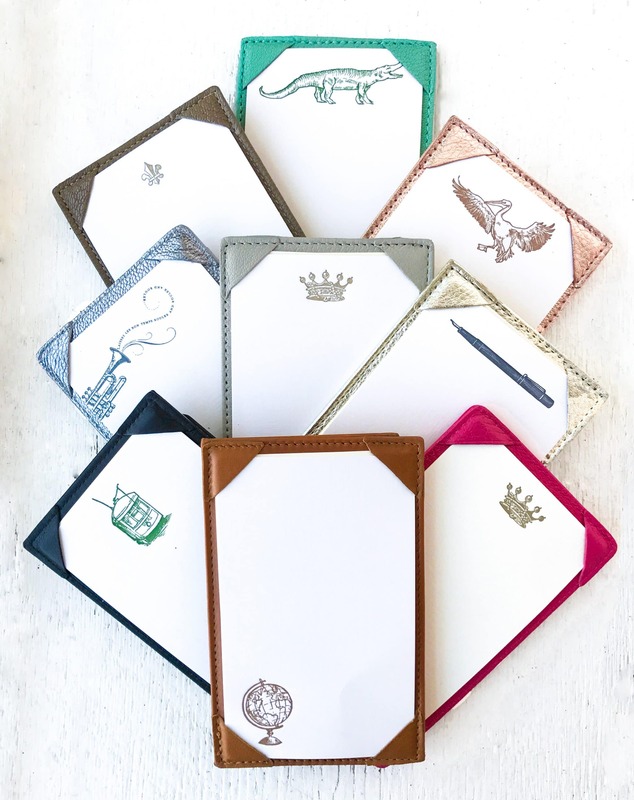 Personalization is available for $10.00 with the purchase of any Bosca wallet at Scriptura. 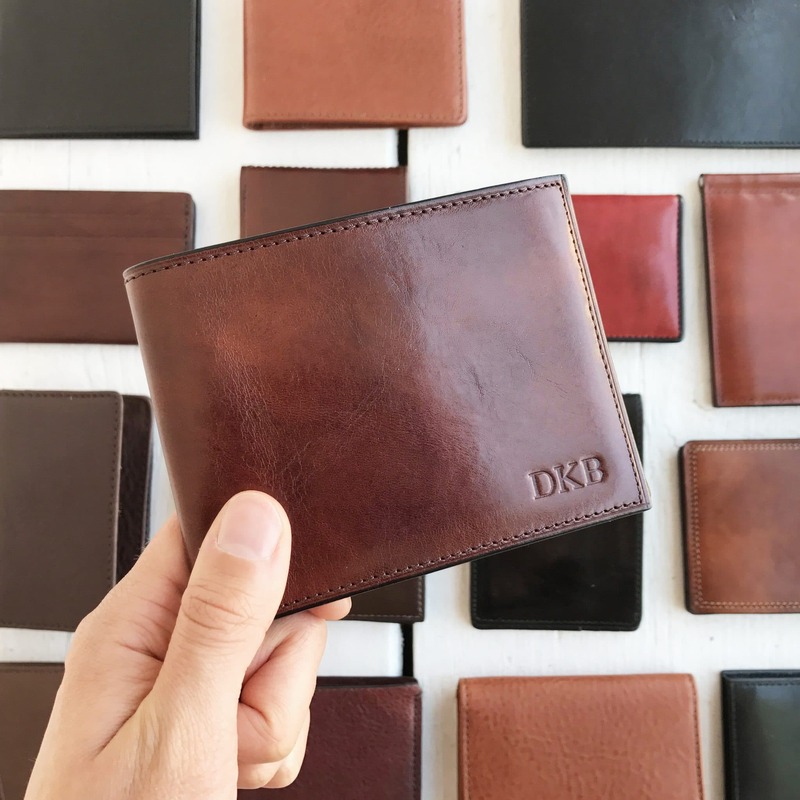 These wallets come in a wide array of leather colors, finishes, and layouts to suit a variety of tastes. Our new letterpress jotter cards feature our signature illustrations ranging from Louisiana’s state bird, the brown pelican, to a poised fountain pen in charcoal grey. Paired with our favorite leather jotter holders, these offer an opportunity to create a personalized gift set in one visit.